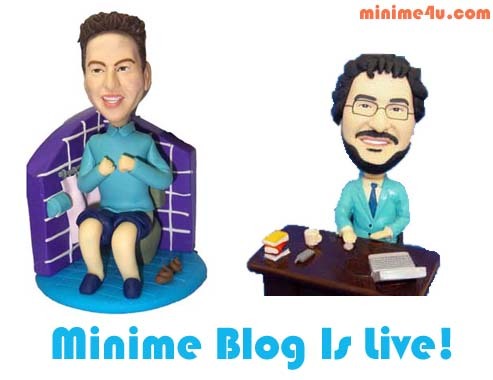 Minime4u.com Blog Feeds http://www.Minime4u.com Mini me is a special unique personalized doll gift, it is 100% handmade doll, and is created from your portrait picture. 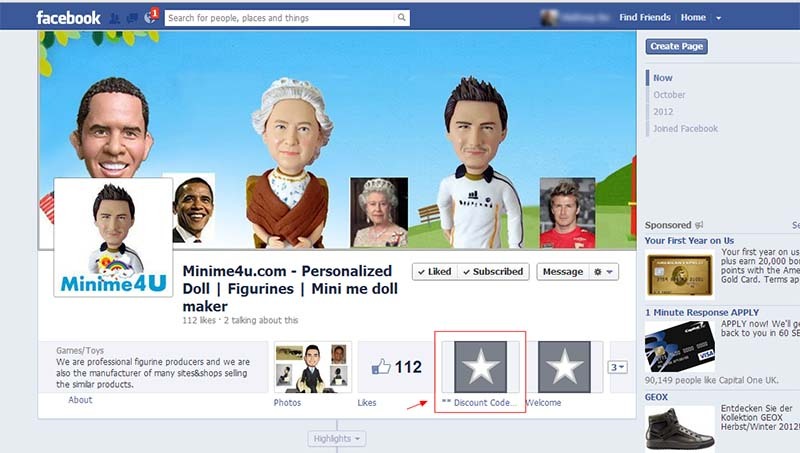 Mini me is a special doll just for yourself, Minime4u.com has a wide range of mini me templates for you to choose or you can completely customize it yourself. We are the perfessional mini me doll doll maker and we serve world wide and dispatch our mini me dolls all over the world. Copyright 2008 - 2019 All rights reserved. 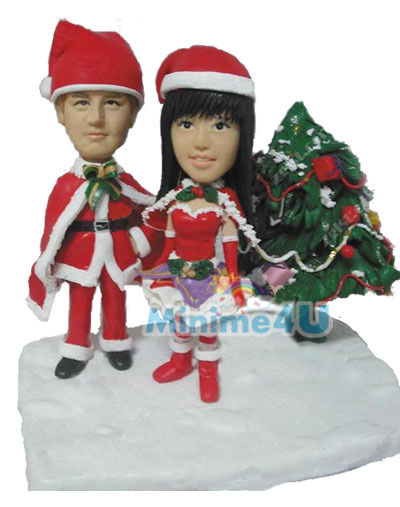 Personlaized 3D figurines are very unique present for Christmas, we do have few templates that are in Xmas theme, however don't let it restrict your imaginations, we are alway happy to assist you and give suggestions on your ideas to make it more unique and fun. 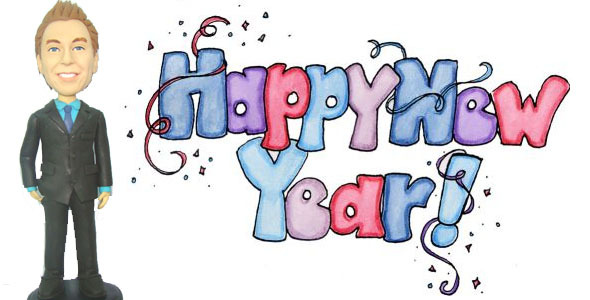 So don't hesitate to drop us an email about your thoughts and we will let you know our thoughts within few hours. 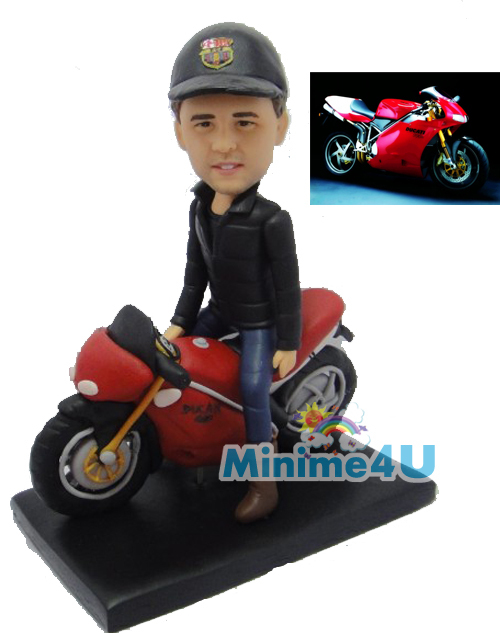 We built this motorbike rider figure as a birthday cake topper, the client asked us to use his own motorcycle instead and his own outfit, we followed the details that client described and the client was very happy to see the result. It was a 30 years birthday gift and the topper was placed on the top of the cake. 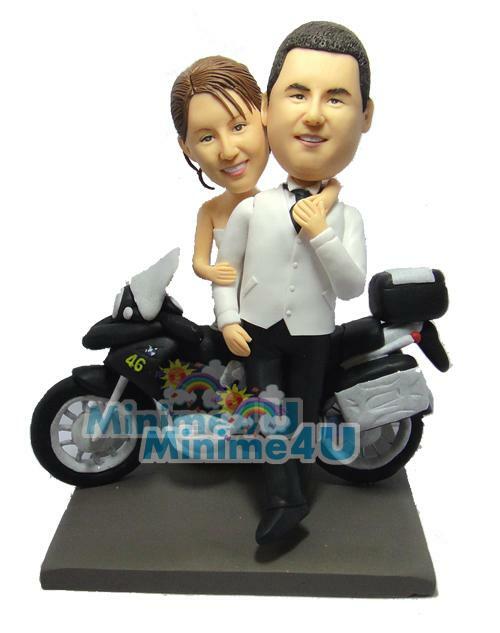 This motorcycle figures was built as a wedding cake topper, the client asked us to use his own motorcycle as the background and have the couple stand in front of it. It tooks us 2 weeks to complete the project and the client was amazed when receive the topper and told us that topper was absolutely a shinny star when they place it on the wedding cake. 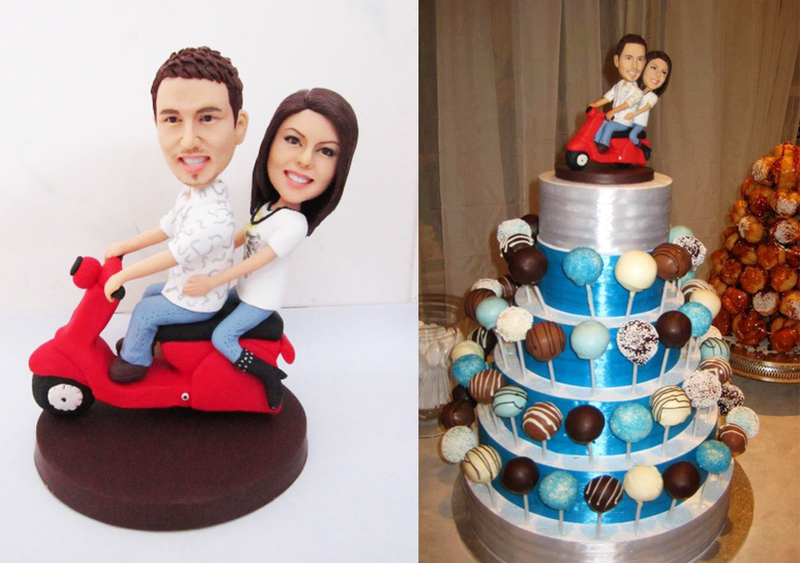 We built this scooter wedding cake topper recently for a wedding, instead of a motorcycle, the client asked to use a scooter instead with their own clothes. The client sent us a picture which placed it on top of the wedding cake and told us all of their guests loved it very much. 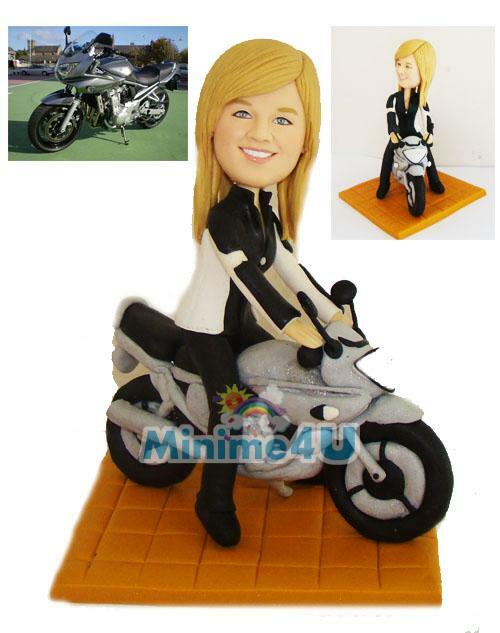 This motorcycle rider template was built for a client's sister as a birthday gift, and was to place it on a brithday cake, the motorcycle was built followed by the client's own motorbike, we sold many figures using this template, it is a popular template for motorbike lovers. This figure was also placed on a birthday cake and looked amazing. Hope you enjoy this blog and if you have any question or new idea about your own motorcycle figure, please drop us a message. The discount code to get 20% off is valid from today till 02/01/2013, so please go to our facebook page and click 'Like' button, the follow the step in the following screen to get our 20% discount code. Christmas time for us is very busy period for us, Our workload over the Christmas months pretty much doubles which puts a big strain on our resources so we strongly urge customers to make Christmas orders sooner rather than later, that is also the reason we launch Christmas & New Year Sale early this year. Also this year we give biggest discount ever because we really wish introduce this unique custom gift idea to all fist time visitors. Please note that to secure your order to be delivered before Christmas Day, please ensure that your order is placed no later than 9th December 2012, any order placed after 9th December 2012 will not be guaranteed to receive it before Christmas Day, it may arrive after Christmas. During Christmas time, our office will still operate as usual, so we will still be able to answer your enquirers during Christmas time. Our shop will be adding more templates to offer more selections this year, and you don't have to choose figurine templates for Christmas Theme, our other custom figurine templates are also could be fun for custom Christmas gift like the catwoman figurine template, business card holder , angel girl, iPhone holder etc. 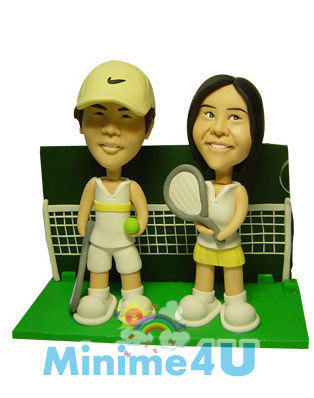 Also it would be great to use your imagination to have the figurine fully customized in the way you want. That would be the most unique gift you ever give. If these Christmas gifts for parent are well thought and creative enough, then you can surely impress them with best wishes. So I would like to pick some templates that are best selling and high popularity mini me templates for parents, give it a thought and see if those mini me templates are suit for your thoughts. The big ben is setting next by, this mini me doll was created for a couple who like to travel, this was fully customized order, the customer sent us pictures with outfits, big ben and clear shot of faces and they want to to be remembered for traveling to London earlier in 2011. 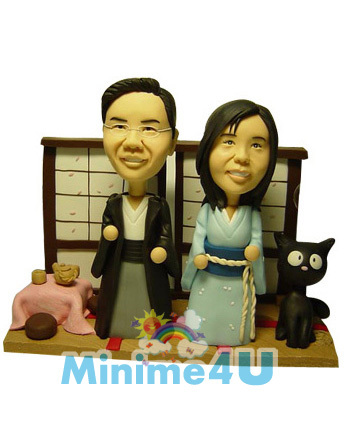 This template was created for a Japanese couple, their daughter wanted it to be an 20th anniversary gift for their parents, in the scene, the couple wears traditional Japanese outfits and also their lovely cat was included, the little furniture was in Japanese style too which was followed form pictures provided. This template was created for a couple who is a nurse and doctor. 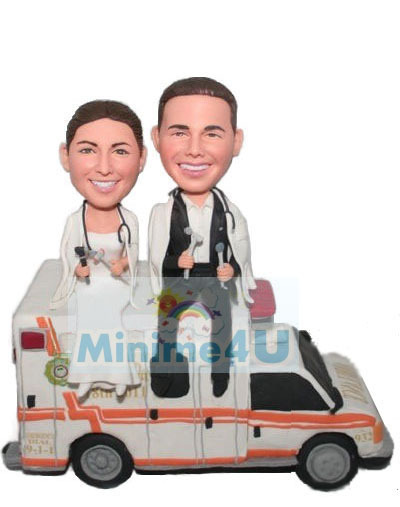 They are sitting on the ambulance and with all their equipment holding in hands. This one will be a very good one for parents who used to work in hospital. This template is good for parents who loves tennis, they are not sports for young people, it could looks nice with your parents faces on. This one is quite fun, in the picture, the couple wears traditional Chinese outfits and the man touches the woman's bottom with KungFu styles. 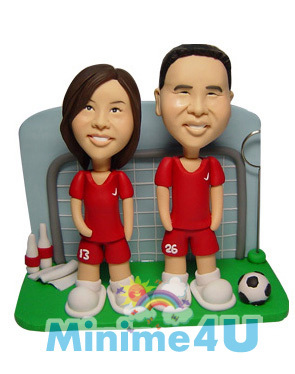 This mini me doll template are build for a couple who are football fans. The uniform shirt can be fully customized, we can replace it with the team you support also we can put number in the front and back too. This surfing template comes with a little picture frame which can place your parent's picture in the back, it is a good idea to use their pictures from younger age and that could bring their memories back to reality. We are going to add more templates early next week for more selections, basically the different mini me template could represent your parent at different age level, there is not necessary to build a doll with their current looking, we have many customers who choose our templates for younger people and replace with their parent pictures at their younger age, and that brought a shocking impressions to their parents from the feedbacks we received. What a brilliant idea!!! And we also have customers who order few dolls for their parents at their early 30's,40's,and 50's which also is a very good thoughts. And they could keep their parents in such unique figurines forever! We wish you could discover a template that is just right for you. 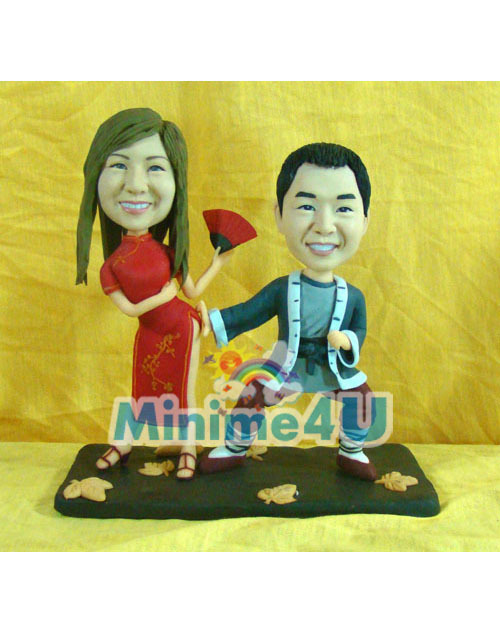 Also remember that we always are happy to fully customize mini me dolls for you with pictures. 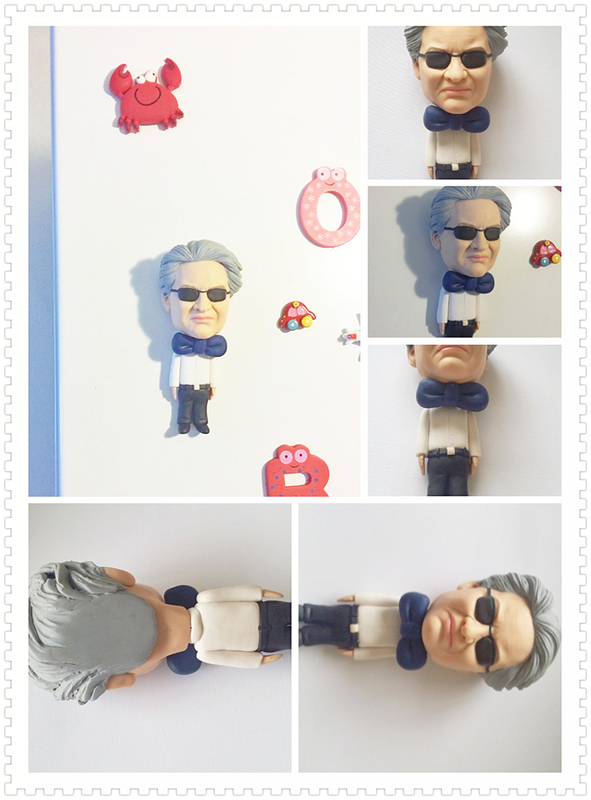 Open your mind and imaginations, let's start building your figurine that real cool and unique! Visit our shop section for more templates. 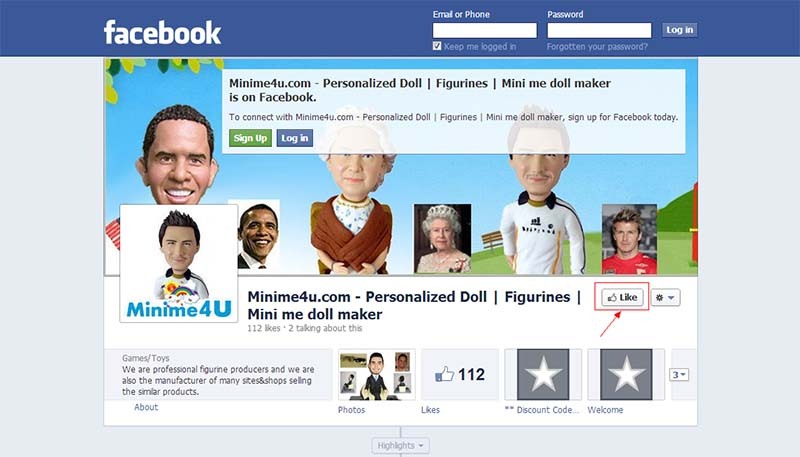 We are going to present more mini me templates later on this year and will hit social networks too such as facebook and twitter. 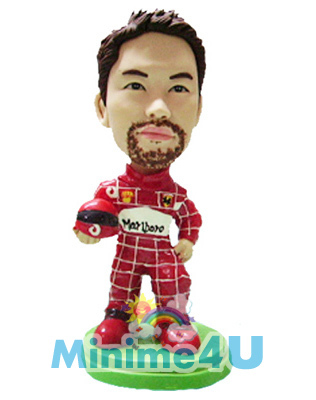 Also we will release more coupon codes this year so you can always get a fantastic price on mini me dolls. Thank you all for being interested in our mini me doll products and we are very happy to answer any questions that you ask. For any enquires, you can always reach us at contact us section of the site. We normally get back to you within 2 business hours. Also we are hiring more people for our marketing team so this year, we are planing to have a position on facebook. So more people can be connected and know about us. And we will list more new models this year so you have even more choices when you choose one for you. We just launched another gift idea site which we call it Cartoonme4u.com, the idea basically is simple, Cartoonize U!!!!!! We have hired some great cartoonists and they can draw you in to cartoon portrait in a very funny way with background, and we send you the digital work by email, so with this final work, it allows you to produce any kind of gift with it, like poster, greeting card, or just frame it. So if you like it, start hiring us to build a Cartoon Portrait for you. Have a look and see if you are interested.